" It was a pleasure to work with you and your lead carpenters George Zembal and Mike Droge. We appreciate you making our remodeling project a positive experience with a beautiful result." "I enjoyed the process from beginning to end. I really appreciated you sending me to your selection center where I could see all the samples. I also appreciated the reference's you showed me it made me feel comfortable having your workman in my home. I am enjoying my new project." "Lois and I want to thank you and your crew for the excellent job of transforming our "ugly duckling" basement into a "beautiful swan" of family room , office and bathroom. The project went very smoothly , and we want to pass along our thanks to George , for his outstanding work, especially providing the "little touches" that helped the area look so attractive. Our thanks to Rod, Mike and John who along with George displayed a great deal of craftsmanship in their work. It is obvious that they are not only highly skilled craftsmen but high quality people as well." "We want to thank you for the very professional work which you and your staff provided during our remodeling efforts. Your staff was punctual , friendly and experienced. We enjoyed all of them." "When we first started discussing this project , it was difficult to imagine what the finished product would look like. But with your design, imagination , along with your dedicated hardworking employees, the end result is ‘’Beautiful’’ Sun Room, that will be enjoyed by our family for years to come." "We value the relationship that we have built with you and your staff.This is the 11th project you have completed for us . 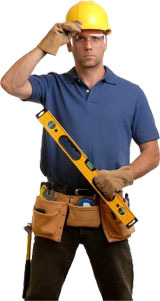 When we think of remodeling or repairing we think of HandyMasters. You have a wonderful lead carpenter in Mike Droge please pass along our gratitude and thanks for the excellent craftsmanship . We also have enjoyed and been pleased with your entire staff from the office to everyone who has worked on our home." Rowland and Loraine Hyle, bedroom and bathroom remodeling.